anthropologists should make more use of one of their outstanding skills—mediating across boundaries—to engaging with the world and its critical problems. How, exactly, can anthropologists make the most meaningful contributions? The symposium rigorously examined the strengths and weaknesses of anthropological and ethnographic approaches to develop successful strategies. Anthropologist Genevieve Bell, Vice President and Intel Fellow in the Corporate Strategy Office at Intel, joked about the machines that comprise the majority of the existing robot population—vacuum cleaning robots! But Bell also demonstrated that robots seem to be causing a significant amount of anxiety, even among those who are creating them. This ‘full-time anthropologist and part-time futurist’ who has been making sense of humanity and social sciences for a tech company for over a decade and a half, claims that robots are actually us—they mirror our history, power, body, anxieties. The job of anthropologists is to study robots in ways that shed light on questions about social and power relationships, and our relationships with and through technology. Bell is fiercely convinced that, if anything, anthropologists excel at posing (and answering) the questions that matter, and are thus morally obligated to do so whenever possible. Climatologist Lučka Kajfež Bogataj of the University of Ljubljana, a member of the Intergovernmental Panel on Climate Change (IPCC), shared this worrying estimate. Research indicates that severe drought has been a factor in the crisis in Syria, she explained, and it is just one example of the large number of future migrants who will be forced out of their homes as a result of climate change. 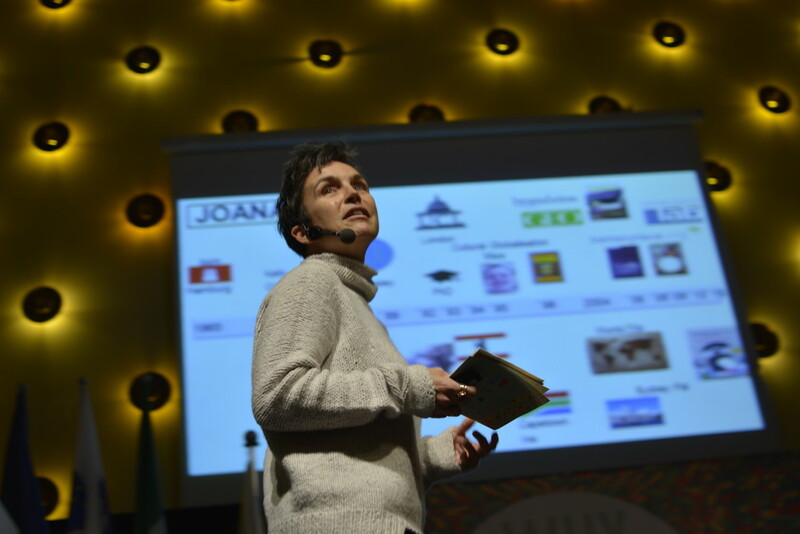 ‘Natural sciences cannot solve the problem of the climate change alone,’ Professor Kajfež Bogataj added, and she stressed the vital role that anthropologists’ insights and analytical skills should play in changing people’s behaviors. ‘It’s high time we create a world in which we learn to live in harmony among ourselves and, of course, in harmony with the planet,’ Kajfež Bogataj warned. As Thomas Hylland Eriksen, Professor at the University of Oslo and president of the European Association of Social Anthropologists, cast this challenge to the audience, anthropologists gasped for air. Of course, Eriksen argues that ethnography is essential, but not alone—it can be put to better use when combined with other approaches, especially when studying today’s increasingly globalized society. Moreover, anthropology, a field strongly identified with ethnography, has other methods and approaches to offer. Most important, anthropologists can mediate conversations across boundaries and question categories that others take for granted. If they find laic ways of explaining why this world of ours is complicated in the first place, anthropologists will be indispensable in proving ‘that things could have been different.’ Eriksen’s work has focused on popularizing anthropology. Designed to make an impact outside academia and anthropology, his latest project ‘Overheating’ attempts to understand the local responses to accelerated change in the realms of economy, environment, and culture. 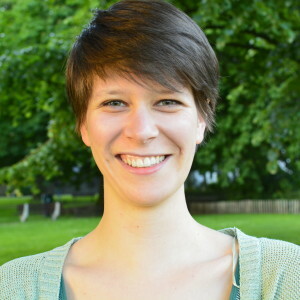 Anthropologist Joana Breidenbach is used to hearing such misconceptions: she is the founder of betterplace.org, Germany’s largest crowdfunding platform for social projects, which has raised over €30 million in donations since 2007. Breidenbach insists that her mission as a social entrepreneur is heavily influenced by her anthropological worldview. To her, research methods used by anthropologists make anthropology resemble an open circle where there is always room for new, often surprising ideas. Her interdisciplinary team developed what she calls ‘an eBay for help’ which supports and gives ‘visibility to grass-root projects’ in a transparent, efficient, and—due to their focus on online fundraising—inexpensive way. This is how betterplace.org is transforming and democratizing the world of philanthropy, making use of Breidenbach’s anthropological approach which emphasizes the role of mediation and the importance of multiperspectivity. This line from a song by the famous Slovenian band Laibach was also a lively prompt for a round-table discussion moderated by Dan Podjed, coordinator of the EASA Applied Anthropology Network. Four speakers were joined by Lenora Bohren of Colorado State University, an environmental anthropologist whose work centers on vehicles and emissions. The debate ranged from the current crisis in Europe and the meaning of nation states—discussants concluded that Europe as we know it indeed does seem to be falling apart—to security in technology as well as in other areas of our daily lives where human-friendly solutions do not necessarily fit advances proposed in technological agendas, and the need to develop more sustainable mobility solutions while exposing their potential downsides. How exactly anthropologists should engage in process of social change has been a topic of debate for decades, and the audience challenged the experts on this issue, addressing the crisis of democracy in light of the recent terrorist attacks in France, ethics in the context of applying anthropological knowledge, and innovative approaches to environmental and other global issues. Professor Eriksen urged anthropologists not only to attempt to convey how complex the issues we are dealing with are, but also to take moral stances and become more engaged. Anthropologists are skilled in cultural translation and they should make use of this ability. 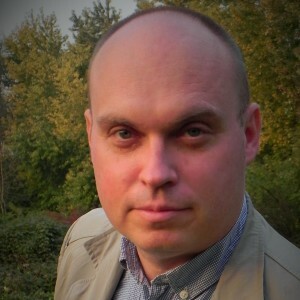 Bell exposed some of the difficult parts of anthropologists’ engagements: whatever they do, anthropologists are simultaneously accountable to the people whom they became close to in the course of their research, while also responsible for ‘being tellers of hard truths and askers of even harder questions’. Breidenbach and Eriksen concluded that the current crisis in Europe and elsewhere has the potential to bring people closer together, though it is up to humanity to make it happen. The symposium in Ljubljana, the third in a series (Amsterdam, 2013; Padua, 2014; Ljubljana, 2015), brought together 450 people from 25 countries. Hundreds viewed the presentations via livestream (provided by Delo) and publicly available video of the symposium. This proves that such events are stimulating anthropologists around the globe to think of fresh, inventive ways of applying their anthropological ‘super powers’. 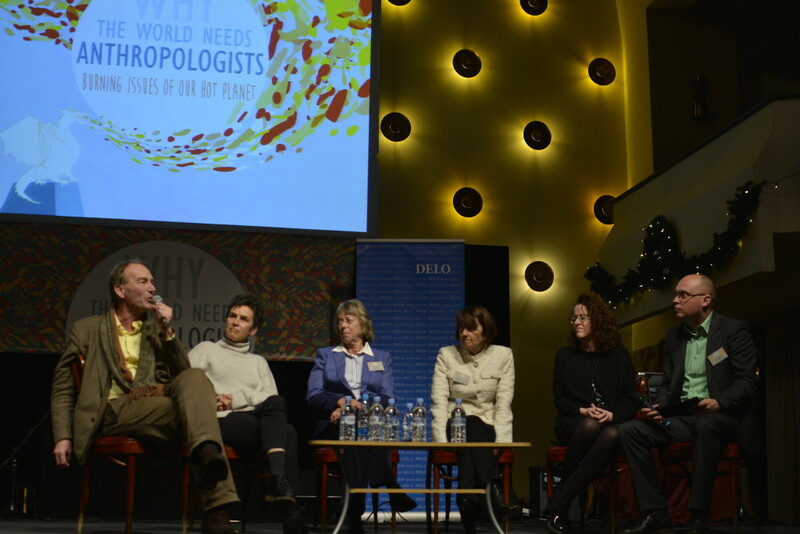 The title ‘Why the world needs anthropologists’, asserting that our planet absolutely cannot do without anthropologists, may seem pretentious and just preaching to the choir. But it is critical to raise awareness of anthropology’s important contributions and presence in non-traditional environments—from Genevieve Bell’s renowned work in technology and entrepreneurship to the success of the esteemed climatologist Lučka Kajfež Bogataj in promoting the role of anthropology in climate change. A central challenge of the symposia has been determining the ways in which anthropologists can convince those who come from outside of their ‘tribe’ that anthropological knowledge and skills could and should be recognized as valuable. As Breidenbach insisted, the event also addresses the lack of awareness among anthropologists themselves of the power they have and the impact they could have. Seeing anthropologists succeed outside academia is inspiring and motivating; however, we feel that the symposium should work even harder to present and promote concrete ways anthropologists can get engaged. The organizers hope to attract a higher number of non-anthropological participants and help to empower applied anthropology within and outside the discipline’s boundaries. 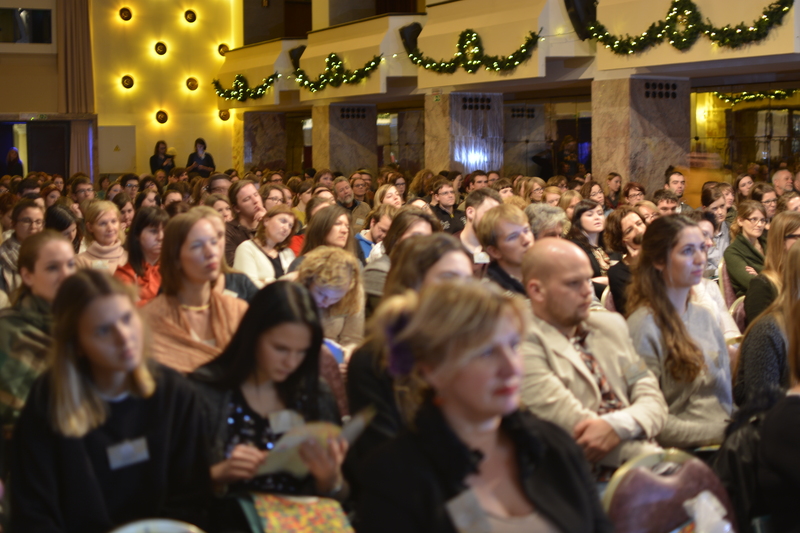 The challenges posed to applied anthropology will be undertaken at the next symposium ‘Humanize IT!’ in Tartu, Estonia, in November 2016. The event will revolve around humanization of information technologies, which have become an indispensable part of our everyday. We will explore how IT designers and anthropologists benefit from each other’s knowledge and approaches, what the role of culture in technology is, and how users can get the most out of new technologies. The two-day event will be enhanced by workshops offering career advice and immediate opportunities for job creation, helping young (and not so young) anthropologists to find their way in the job market after graduation. Meta Gorup is PhD candidate and junior researcher in sociology studying university management. She’s exploring the intersection between anthropology, organization sciences, and higher education research. She is the administrator of the EASA Applied Anthropology Network and initiator of ‘Why the World Needs Anthropologists’. Dan Podjed, an anthropologist from Slovenia, is the coordinator of the EASA Applied Anthropology Network and initiator of ‘Why the World Needs Anthropologists’. He is currently leading the DriveGreen project, the main goal of which is to develop a culture-sensitive and user-friendly smartphone app for promotion of sustainable mobility. Taking the Driver’s Seat: Sustaining Critical Enquiry While Becoming a Legitimate Corporate Decision-Maker, Rogerio de Paula et al.